…what this insect is called? In Latin, please. Anyone? What´s the name of this insect? Anyone? In Latin, please. It is hard to tell exact name, but I will try with Bibio pomonae as it is one of the most popular, second being Bibio marci, though, as with most of insects, differences can be very subtle, visible only with a microscope. Though, definitely from the family Bibionidae – that is my guess. 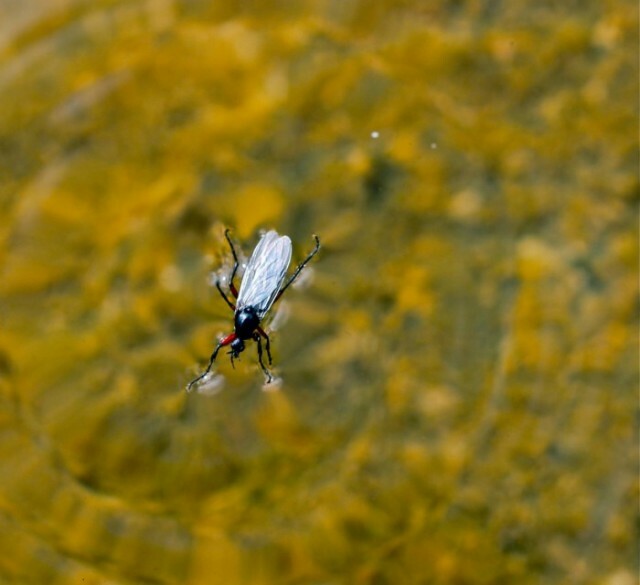 Isn’t it the infamous Russian fly, Bibio pomonae? This is Bibio pomonae, it,s rather comon in Jämtland were I fish alot… could be awesome fishing on this bibios. in English: the heather fly, “Bibio pomonae”.